Situated across from the Pebble Creek community, this neighborhood consists of 93 deed restricted lots, with 15 being patio homes. The architectural control committee and homeowners association keep the landscape and community in top shape. 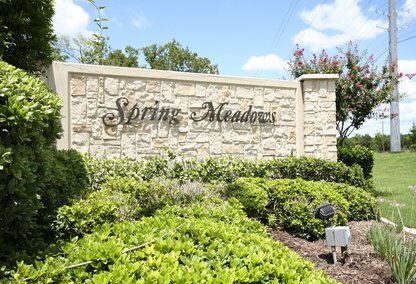 Residents enjoy the park, walking path and proximity to shopping, medical services, golf course, and a county club.